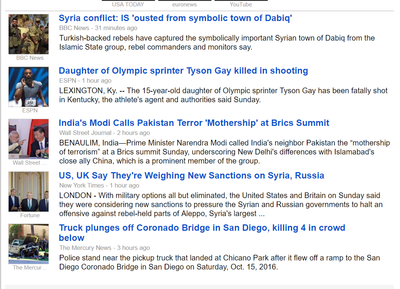 Google News is an index that is available on the internet. 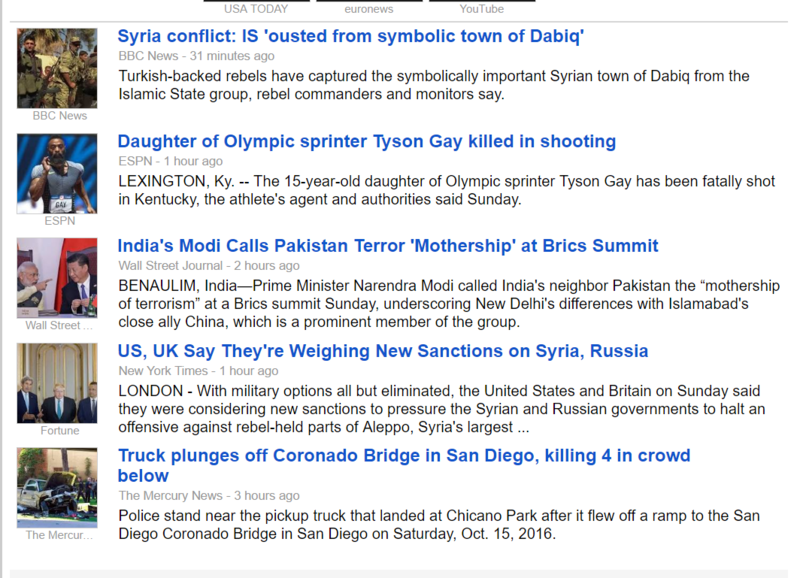 There is a Top Stories section at the top, sidebar with categories on the left, and the right side has options for the user to personalize google news and adjust sources. 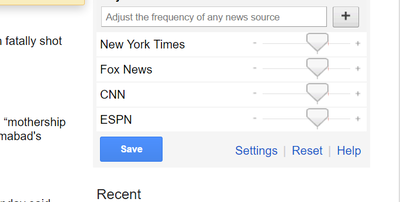 If you would like more articles from New York Times and less from Fox News, you can adjust this on the homepage. This is the first time I’ve visited the Google News website and I am very impressed with how you can customize this index to fit your needs in order to find things that you are interested in quickly. The articles listed give brief, but informative abstracts of each article and the user can decide whether or not to read more on that topic. It is also easy to see how recently the article was published, whether it was 31 minutes before or 2 hours before you are viewing the page. 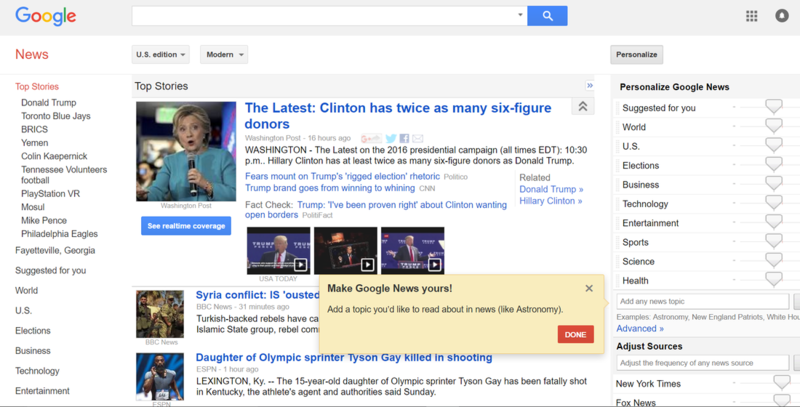 I can envision teachers manipulating the settings of Google News on the computers in their classrooms to best meet the needs of their students and to focus primarily on the subject they teach such as math, science, or social studies. This resource would be useful and engaging in the classroom. Grades: 5 and up. Subject(s): Everything. Overall rating: 8.